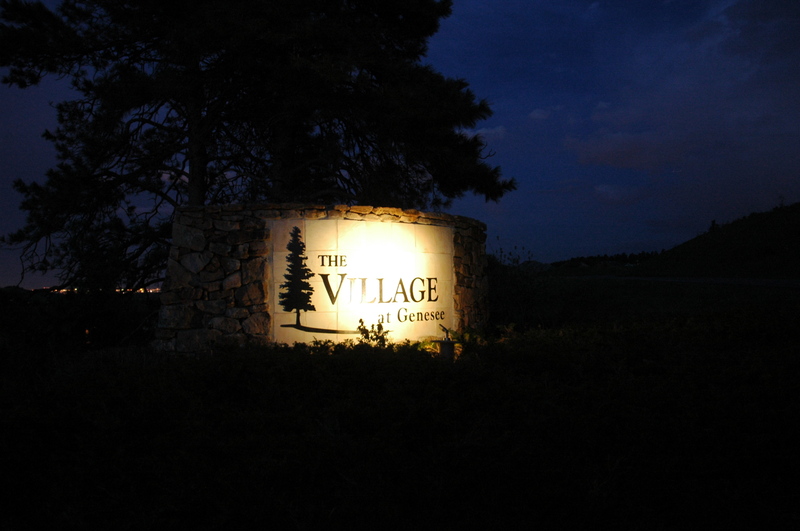 Most people do not know it’s possible to have a free lighting design preview for their home, business or community entrance/park/clubhouse, etc. While it is possible to lay out a preliminary design on paper, there is absolutely no substitute for conducting an evening lighting design demonstration to ensure that the desired lighting effect is achieved. A lot of people mistakenly believe that the first step in lighting design is to select the fixtures. Until you know what you want to illuminate and what bulb and wattage you need for the desired lighting effect, the last thing you want to do is select the wrong fixture for the intended application. Unfortunately, this happens all of the time. We get calls almost every week from homeowners who are unhappy with their lighting system – and they are quick to add that they had no idea what the lighting would look like until AFTER the installation. We always tell them not to feel too badly because their contractor had no idea either. With our national company, we always like to say that we’re not in the business of selling fixtures, we’re in the business of selling lighting effect. Unlike most of our competitors, we do not just point and recommend where the fixtures should go – we set them up so that you can judge for yourself whether we have achieved the lighting effect that meets your needs. Even seasoned building architects and landscape architects are surprised by the different possibilities of lighting effects – especially when they can see them prior to the final installation. To give you a case in point, I once received a call from a nationally known commercial landscape architect who needed path lighting for his home’s front sidewalk. He told me difinitively that he needed five path lights. When I asked him what neighborhood he lived in, I knew that the house setbacks were not excessively far from the street and suggested that he could probably get by with only three path lights. No, he replied, stating that this is what I do for a living. When we did the evening lighting demonstration, the commercial landscape architect was incredulous that he only needed a total of three path lights. Interestingly, landscape architecture programs throughout the U.S. typically require only ONE three credit course in landscape lighting – and it’s rare that students actually get to see an evening lighting design demonstration during this course. Depending on the ambient lighting conditions and lighting needs of a customer, we may actually set up either low voltage (quartz halogen or LED) fixtures or line voltage fixtures (Ceramic Metal Halide). 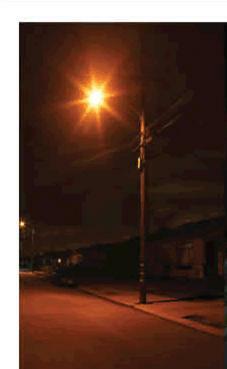 If we’re trying to illuminate a large commercial building that is located next to a busy street with sodium street lights for example, we know that a low voltage lighting system will not provide the intended lighting effect next to these bright sodium street lights. For any evening lighting design demonstration, we always sit down with the home or business owner to determine what their primary lighting needs are. For example, are they primarily interested in safety and security or are they more interested in highlighting the unique architectural features of their house/business and/or expanding their usable living space in the evening? Sometimes the answer is all of the above. Until you have an answer to this question, you cannot possibly know how to even begin a lighting design. By seeing a lighting design laid out with a temporary lighting system, you will know exactly what you will be getting if you decide to proceed with an installation – no guessing and no surprises. Any changes to this preliminary design are easily made as a home/business owner adjusts the system to their particular tastes. Once the desired lighting effect is achieved, flags can be put in place to accurately mark the position of each and every fixture. By that point in the demonstration, you will have seen that in a lot of cases moving a fixture a couple of feet one way or the other can make a huge difference in the lighting effect. Another key point is that not all fixtures and installations are created equally. The customer needs to be confident that a lighting installation will look as good ten years from now as it looks today. A lot of our friends and business associates marvel at our late-night design demonstrations and ask – isn’t that a lot of work? Our answer is always no because this is what we do to ensure that our customers are 100% satisfied with their lighting systems. And it’s always easier to do something the right way the first time. Our hope is that home and business owners will find these complimentary nighttime lighting designs in Colorado educational, enjoyable and useful. A quality lighting system can add value to a home or business, and we believe that you the one best suited to make this decision for yourself.